The 2020 Toyota Corolla has been completely redesigned, and if you’ve been searching for a more efficient and more enjoyable drive, there’s never been a better time to upgrade! The new Toyota Corolla mpg tops out at 31 mpg city and 40 mpg highway*, but that’s not the only reason to get excited. For the first time this year, the engineers at Toyota will be releasing a new Toyota Corolla Hybrid! The latter is only slightly more expensive than a comparable non-hybrid trim, but it delivers exceptional value with 53 mpg city and 52 mpg highway*. What is the MPG of a Toyota Corolla? Lastly, we should note that several 2020 Toyota Corolla trim levels let you switch between different driving modes with the press of a button. SE and XSE trims can switch between Normal and Sport Mode settings, while Hybrid models can alternate between Power, ECO, and EV modes. The most efficient gas-powered Toyota Corolla is the 2020 Corolla SE (CVT), which combines the 2.0-liter engine with the Dynamic Shift CVT to deliver 31 mpg city and 40 mpg highway*. The aforementioned model starts at just $21,950 MSRP**, but for just $1,000 more, you could upgrade to the new 2020 Toyota Corolla Hybrid! The latter starts at $22,950 MSRP**, but it will save you money on every mile. If you’ve never driven a hybrid before, you should know that today’s models are more responsive and fun-to-drive than ever before. Schedule some time behind the wheel to find out if it’s right for you! 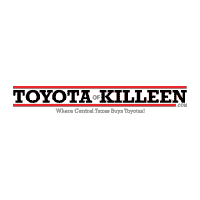 Explore the New Corolla Inventory at Toyota of Killeen! We know you’ll love how you feel behind the wheel of a supremely-efficient 2020 Toyota Corolla. Now that you’ve had the chance to explore the Toyota Corolla mpg, continue your research by finding the perfect new Toyota Corolla for sale at Toyota of Killeen! Once you’ve found the model that you’re searching for, simply contact us to take it for a test drive. Check out our new vehicle specials today to save. **MSRP excludes the Delivery, Processing, and Handling Fee of $920 for Cars (Yaris, Yaris iA, 86, Corolla, Corolla HB, Camry, Camry HV, Prius LB, Prius c, Prius Prime, Mirai, Avalon, Avalon HV), $1045 for Small/Medium Trucks, SUVs and Van (C-HR, RAV4, RAV4 HV, Highlander, Highlander HV, 4Runner, Sienna, Tacoma), $1,295 for Large SUVs (Sequoia, Land Cruiser), and $1,395 for Large Truck (Tundra). (Historically, vehicle manufacturers and distributors have charged a separate fee for processing, handling and delivering vehicles to dealerships. Toyota’s charge for these services is called the “Delivery, Processing and Handling Fee” and is based on the value of the processing, handling and delivery services Toyota provides as well as Toyota’s overall pricing structure. Toyota may make a profit on the Delivery, Processing and Handling Fee.) Excludes taxes, license, title and available or regionally required equipment. The Delivery, Processing and Handling Fee in AL, AR, FL, GA, LA, MS, NC, OK, SC and TX will be higher. The published prices do not apply to Puerto Rico and the U.S. Virgin Islands. Actual dealer price will vary.